In 2011, I was approached by Shimon Attie, a fellow visual artist who asked me to collaborate with him on the creation of a permanent Memorial for San Francisco Police Officers who have fallen in the line of duty. Over the course of 4 years we dreamt-up and subsequently managed the production of Spiral of Gratitude. This artwork involves the suspension of a large glass cylinder 16’ 8” tall X 9’ diameter below an oculus skylight framing the sky above. 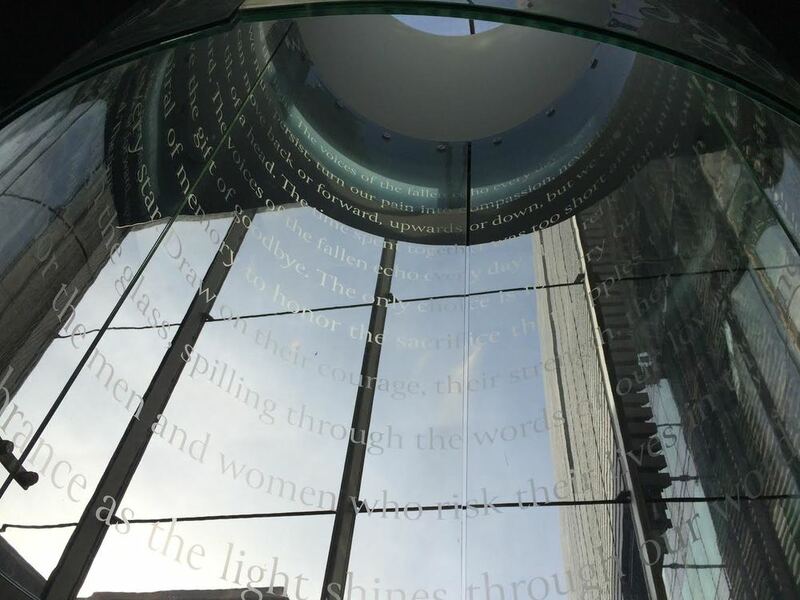 The cylinder is inscribed with written expressions of gratitude and loss, gathered from surviving family members and crafted into a seamless, evocative poem. The piece is also framed by bas relief text inscribed in the rear wall. The aim was to create an ethereal play of language, light, glass, and sky, one that is both visually arresting and that invites contemplation. 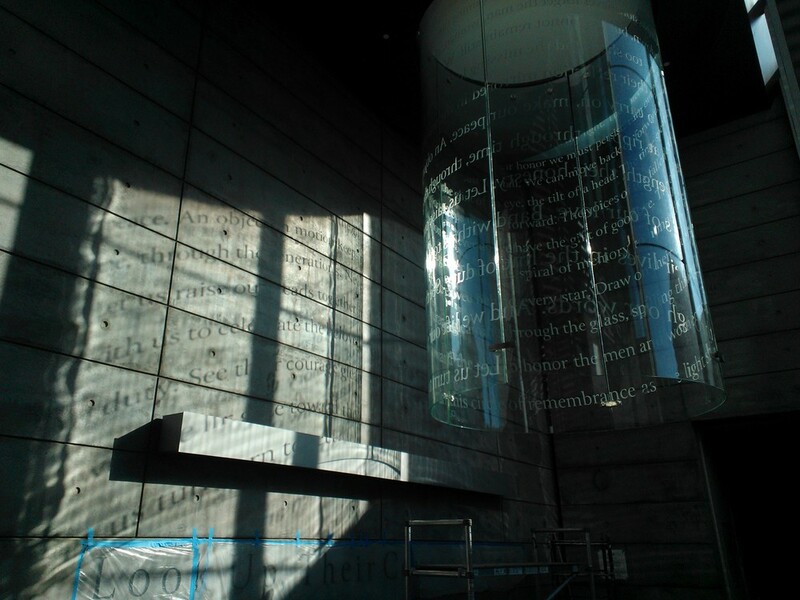 The Memorial is sited in the new SFPD headquarters, designed by HOK and MCA Architects. Both the Memorial and new police headquarters building are set to open to the public in early 2015. The poem was written by Margo Perin, in collaboration with Shimon Attie and the Bay Area Legal Assistance Fund. The installation was commissioned by the San Francisco Arts Commission.